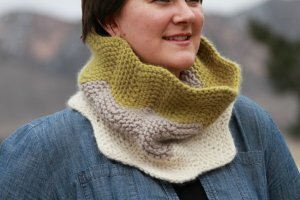 : The Hold Steady cowl is the perfect blend of warmth and style making this the perfect winter accessory to keep you warm on super cold days! Size US 10.5- 24" Circular needles are required but not included. Gauge: 11 sts over 4"